How to keep squirrels out of your house - Squirrels are very persistent and annoying rodents and unlike other house pests, they love to make nests in your attic. The attic is the best place for them to grow their babies. This is the main reason you should consider keeping them out of your house and has to be your priority because when they’re settled and reproduce, their number could be no less than twenty per colony. 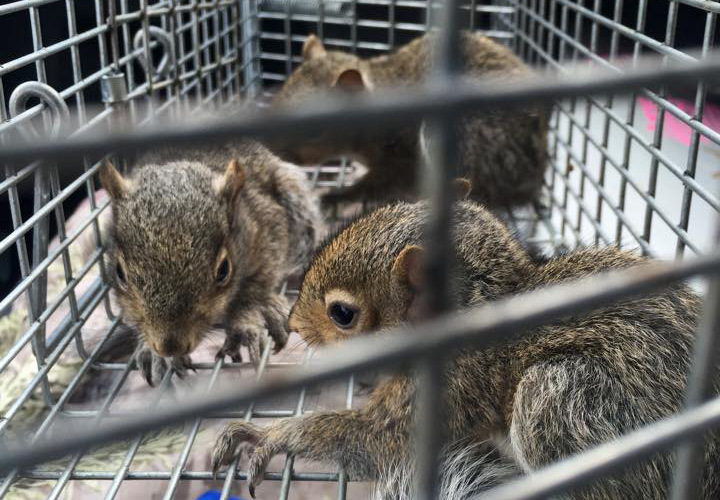 One of the best ways to solve the problem is to trap them in a squirrel sized cage which you can purchase or make it you're own. Once you’ve blocked all the holes except for one entry hole, you have to set the trap near to that hole. Squirrels are very active early in the morning and at night, so make sure that you check the trap as much as you can. You will certainly catch a squirrel and after you need to repeat the procedure with a lot of patience, but, it works, at least. This is the probably most humane solution of all. You have to inspect the entry holes for the attic from time to time, and you may be surprised with the size of these holes, but squirrels can squeeze through a tiny hole about the size of a human fist. Also, it is advisable to check the interior of the attic and searching for a light shining through holes that can indicate an entry point. All the damages around the roof are needed to be inspected, at least once per two weeks. If you notice something, fix all the damage without any delays. Close the vents with some heavy-duty steel screens, which will keep squirrels away as this is one of their main entrance points. Trimming the trees and cutting off the branches will certainly help you and discourage squirrels from jumping straight into your house. Make sure to keep your yard or garden clean because squirrels are attracted to trash and possible food leftovers. You should know that the traps inside the attic are completely useless and that squirrel will almost never get caught into it, so don’t even bother to install them inside. One of the interesting ways that you could try is to buy a fox urine in hunting store and spray it into the entry hole. This may work because squirrels are afraid of foxes, after all, they are lower on the food chain and they should be scared away. We gave you one of the best solutions possible that should keep these annoying pests away from your home, but you have to know, preventing them of re-entering in your house cannot be guaranteed, so keep fighting them and try all of the ways we provided for you. What do squirrels in the ceiling sound like? Read about animal noises in the attic during the day or a discussion on are squirrels ever active at night?